As medical students, we have been taught to think holistically about how we can provide the best care, and it means providing much more than just medical expertise. This means we are taught more than pathophysiology in our undergraduate medical curriculum; we are also encouraged to think about how to communicate and advocate for patients, and the value of research and innovation to improve the healthcare system. These are skills that we personally believe to be important for the medical profession, and so we wished to bring this aspect of medical education to the Faculty of Medicine Open House. We pride ourselves on this type of interactive multidisciplinary learning and we hope that we can inspire attendees to think broadly as well. Each Open House will incorporate an interactive seminar in which a student-designed patient case will be presented to a group of attendees. We hope that the case will illustrate not only the intricacies of diagnosis and treatment but also the importance of interprofessional collaboration. Please note that because the patient cases are student-written, they do not represent a formal component of the University of Toronto undergraduate medical curriculum. 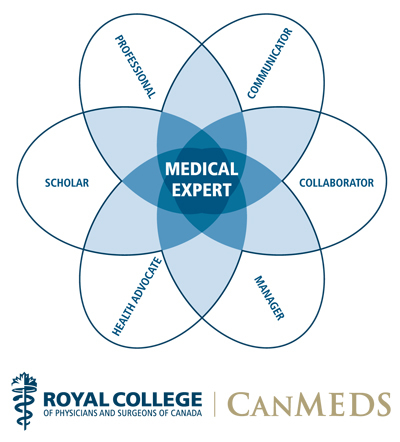 For more information on the CanMEDS roles, please see the Royal College of Physicians and Surgeons of Canada website.